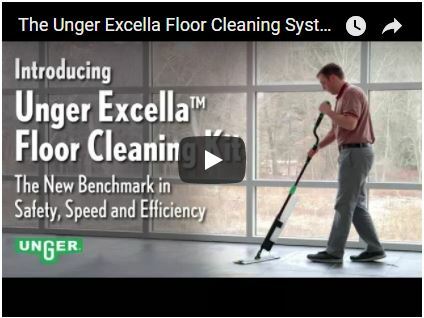 An independent study conducted by ManageMen, Inc. in January of this year concluded that the Unger Excella™ cleaned 4,878 square feet per hour, compared to just 2,564 square feet per hour with a 24oz. 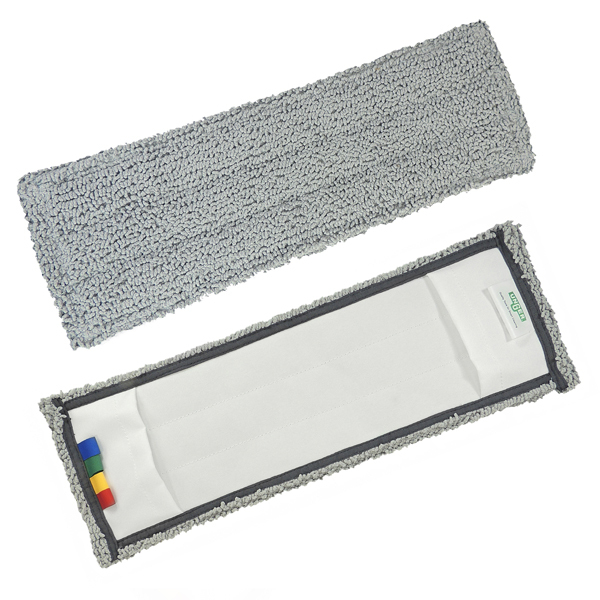 string mop head, nearly doubling efficiency. 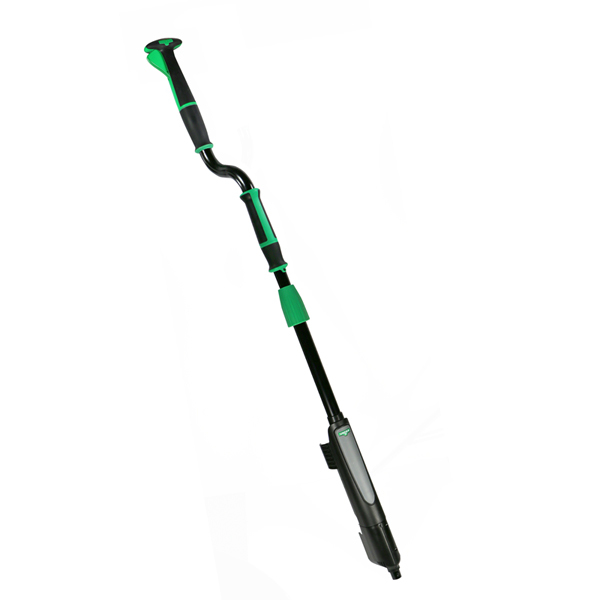 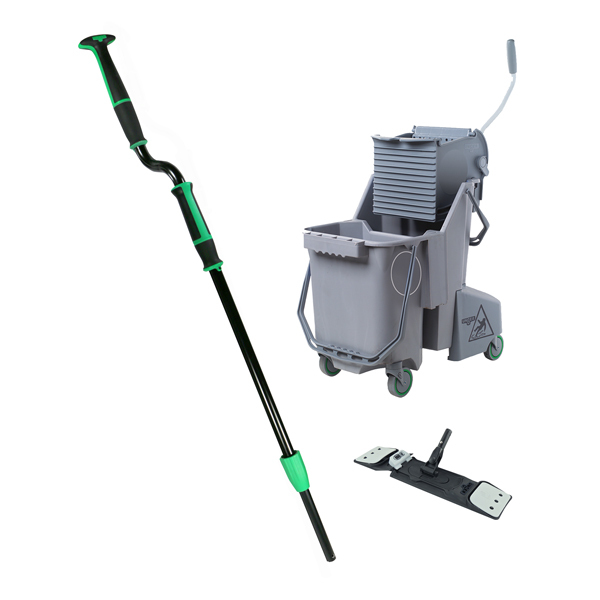 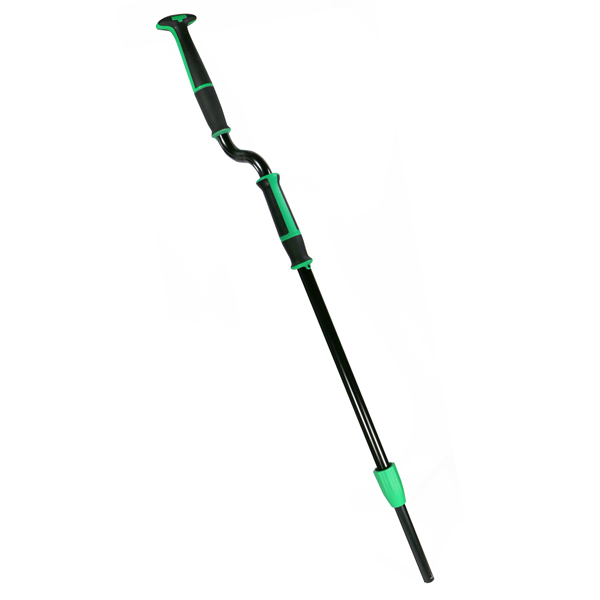 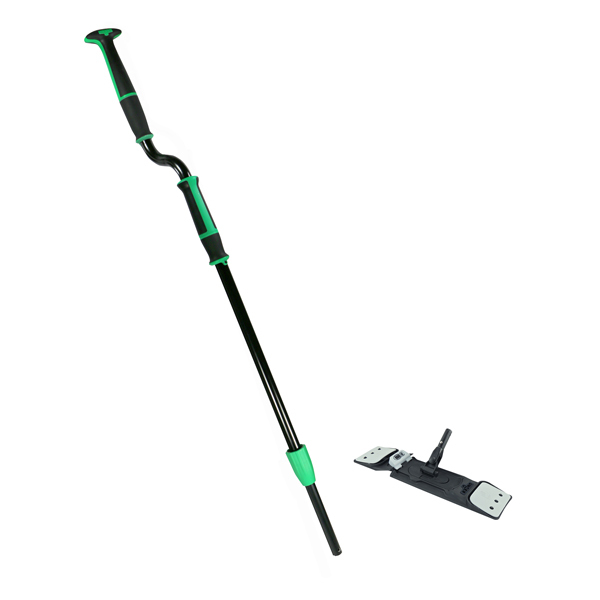 The Unger Excella combines dual-swivel handles and a self-guiding S-curve pole, providing a mopping system that is “self-steering”. 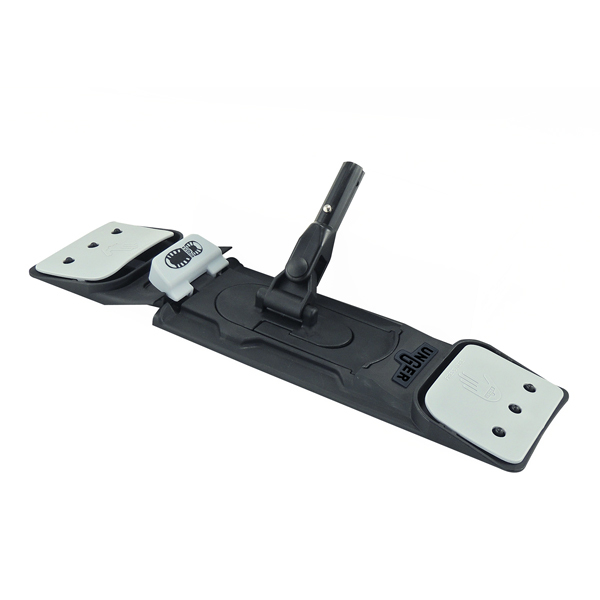 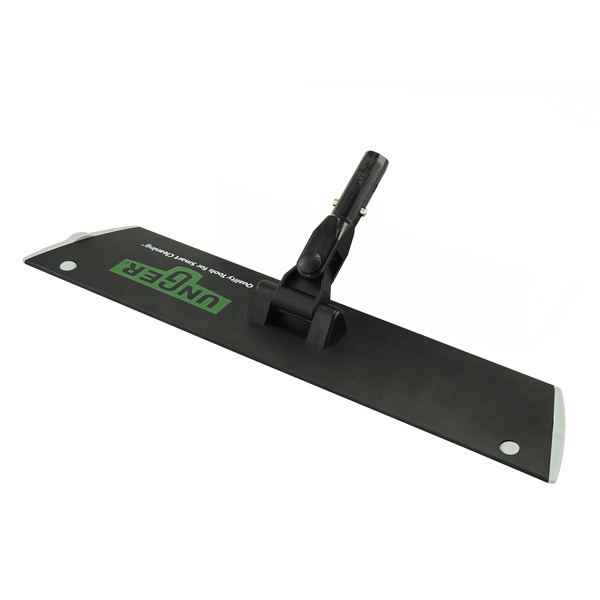 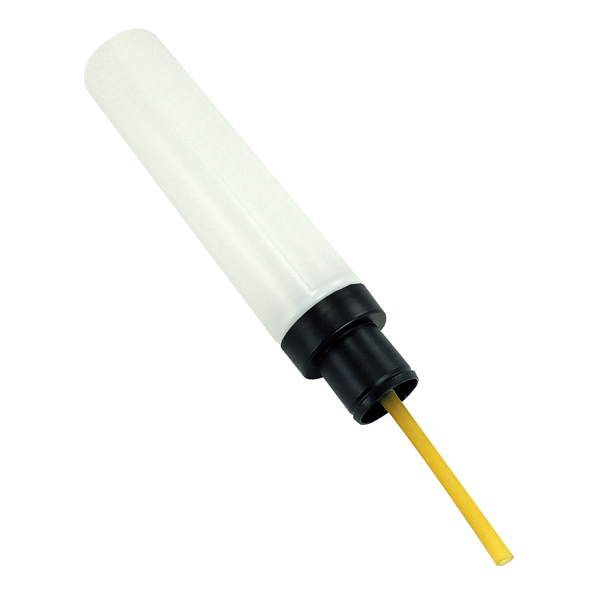 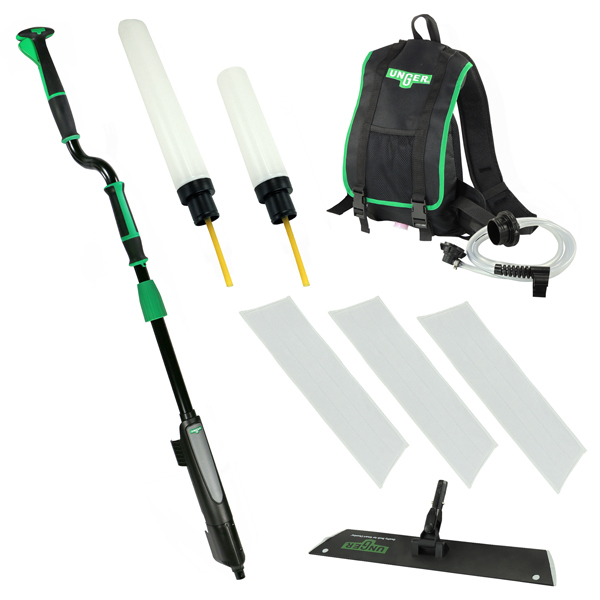 The system is the first one available that includes both a height adjustable pole and the ability to dispense liquid from the bottle on board. 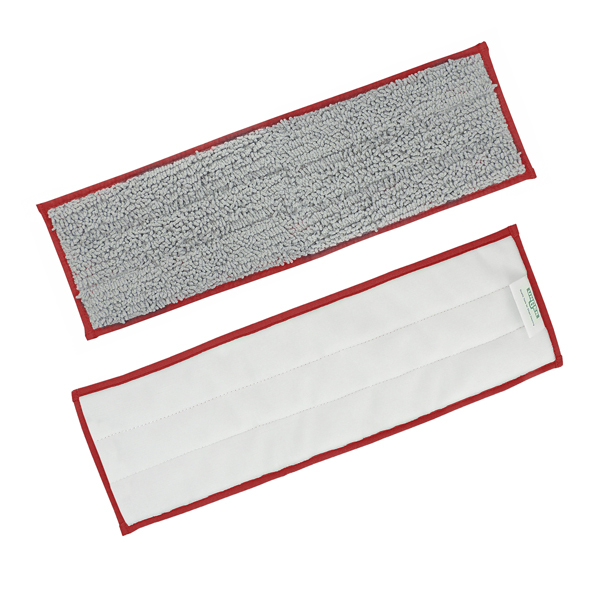 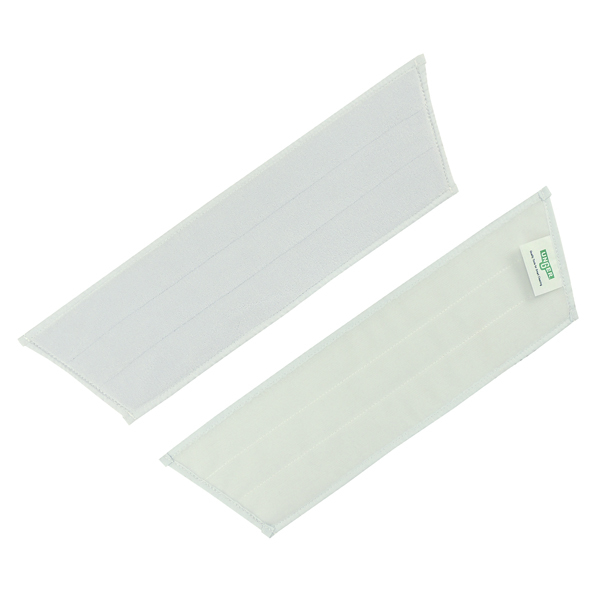 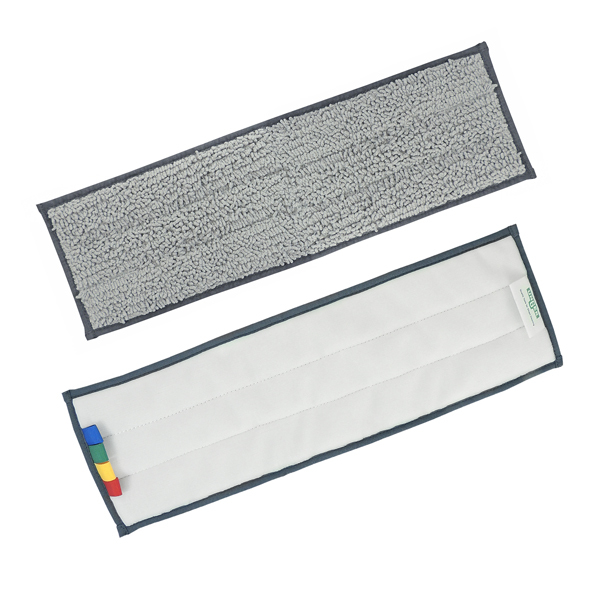 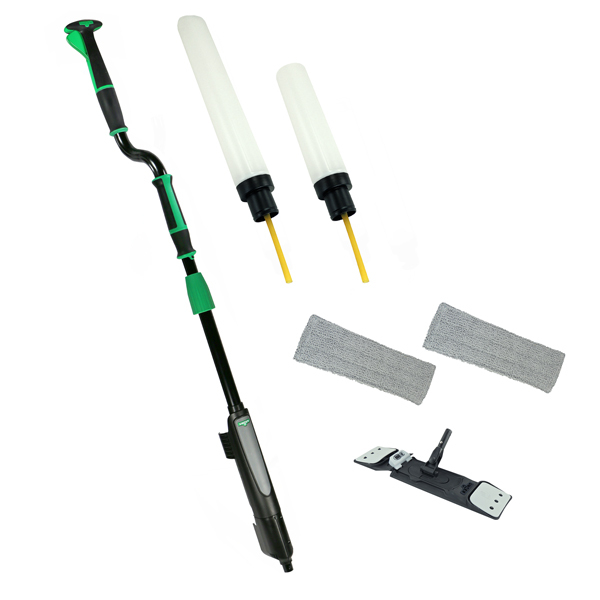 This combination of features provides dramatically faster cleaning with less strain, stress, and effort than any other mop currently available. 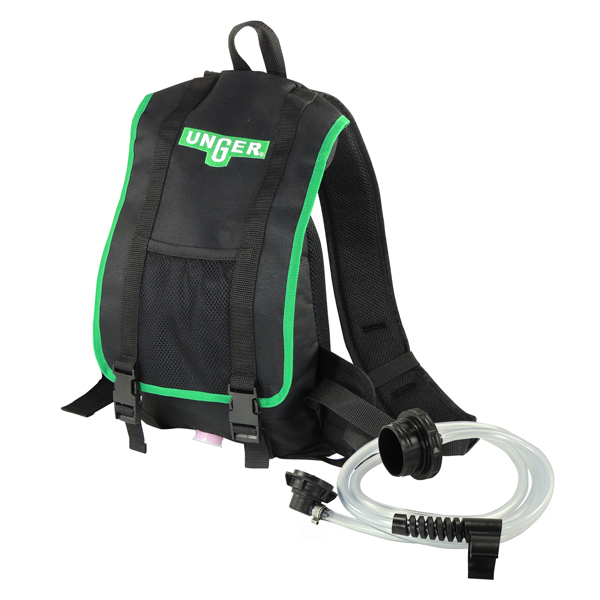 The Unger Excella™ is suitable for use on all hard floor surfaces and for spot mopping, wet mopping, dusting and floor finishing applications. 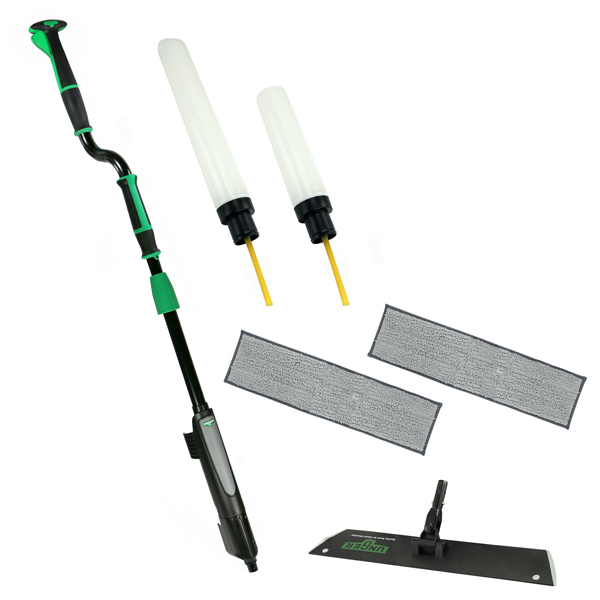 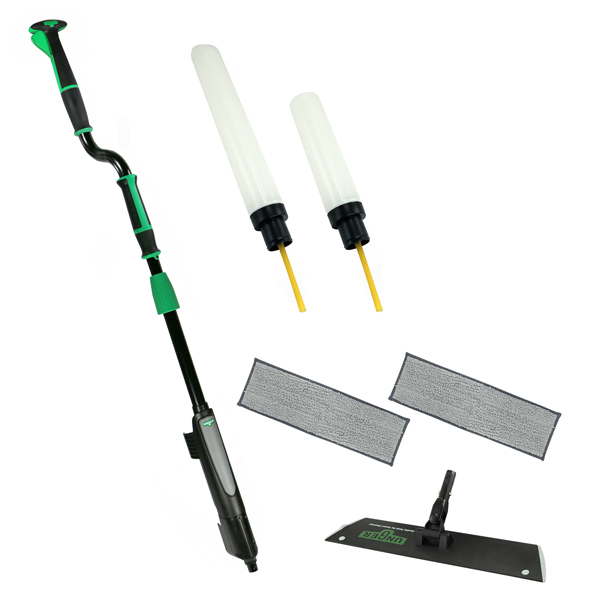 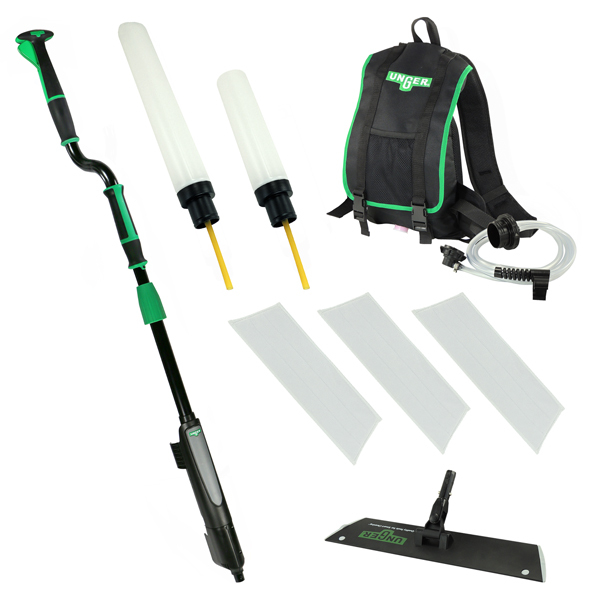 A .5L bottle, 1L bottle and 5L backpack allow you to scale your floor cleaning to match the environment.